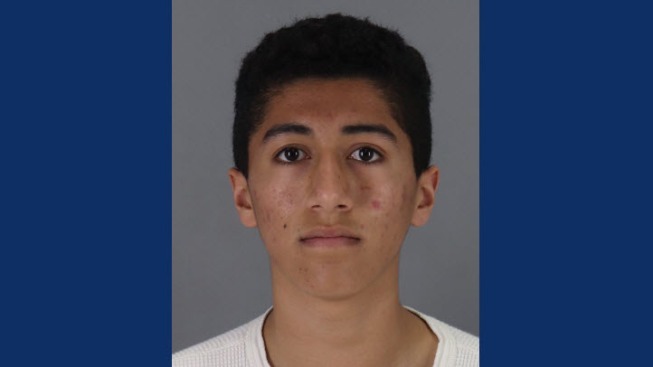 An 18-year-old man was arrested after allegedly taking photos and committing lewd acts with a minor under 10 years old at an indoor bounce center in unincorporated San Mateo County near Belmont, according to the sheriff's office. Marianne Favro reports. An 18-year-old man was arrested after allegedly taking photos and committing lewd acts with a minor under 10 years old at an indoor bounce center in unincorporated San Mateo County near Belmont, according to the sheriff's office. The alleged abuse occurred around 1 p.m. Monday at the Pump It Up business at 1309 Elmer St., sheriff's officials said. The child was at the bounce center when one of its employees, Belmont resident Tavi Benelli, allegedly escorted the victim to a private room alone where he inappropriately touched the victim and took the photos, according to the sheriff's office. The child's parents contacted law enforcement after being notified by their nanny. Sheriff's deputies detained Benelli at the Pump It Up business and booked him into San Mateo County Jail on suspicion of committing lewd acts with a child under 14 and attempting to conceal or destroy evidence. Pump It Up has cooperated with the investigation, sheriff's officials said.